I’ve been cleaning and rearranging in the shop a lot this week to make room for the new stock coming in. I’ve rediscovered some paper and pretties that I knew I had…but some how lost track of in my mind when I pull supplies to make projects. 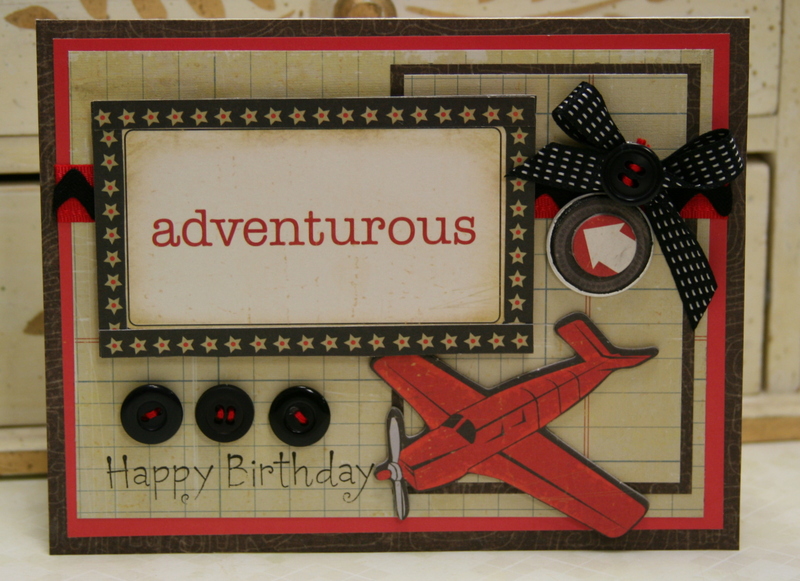 I made this card yesterday with a box of lovely die cuts with lightly sparkly edges. The butterfly came from Graphics Fairy, I cut out two images and layered them to get the desired effect. The paper is from Crate : ) I finished it off with some ribbon and buttons. 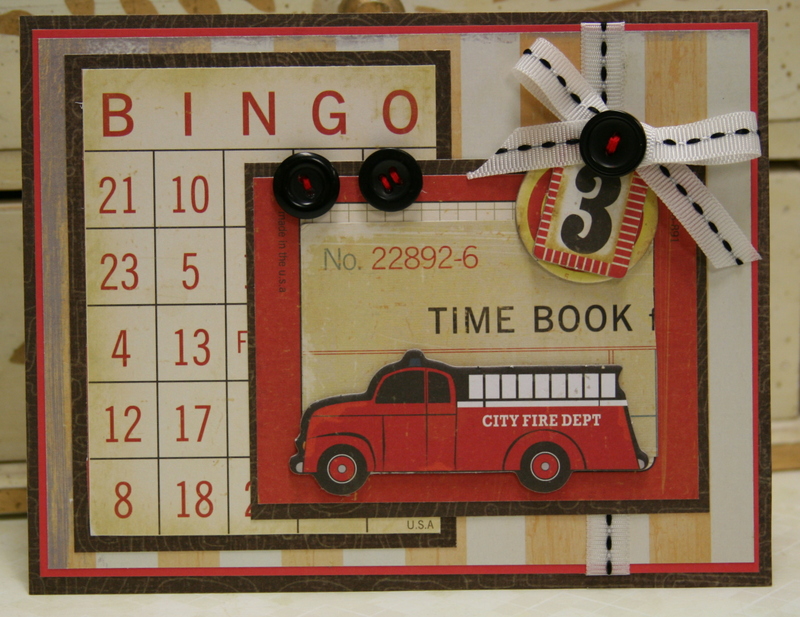 There is lot’s of die cuts left in the box…so I am challenging myself to use up this set before I open another! Turns out to be a totally gloomy rainy fall day here in Michigan. Just the right weather to stay busy working on paper projects and watching re-runs on Netflix. I got all caught up on Warehouse 13. Woot Woot!!! Wish I had me some of those fun gadgets : ) Or better if I don’t…I seem to get into enough trouble without them LOL. 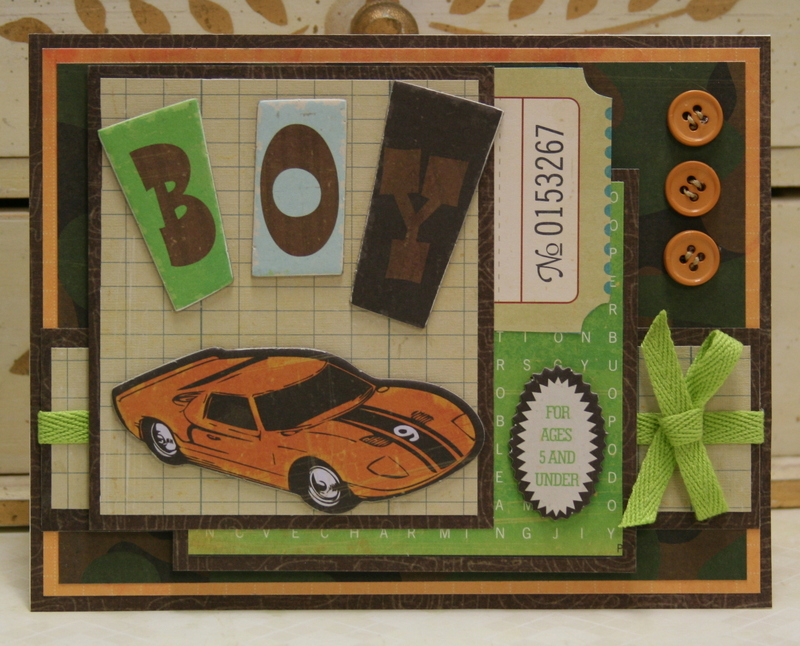 I think this is such a great classic color combination for boys! The airplane and arrow are chipboard. My oldest son used to call fire trucks -fire sharks when he was a toddler : ) I miss those days!!!! I added a fun bingo card from a larger sheet of tags. 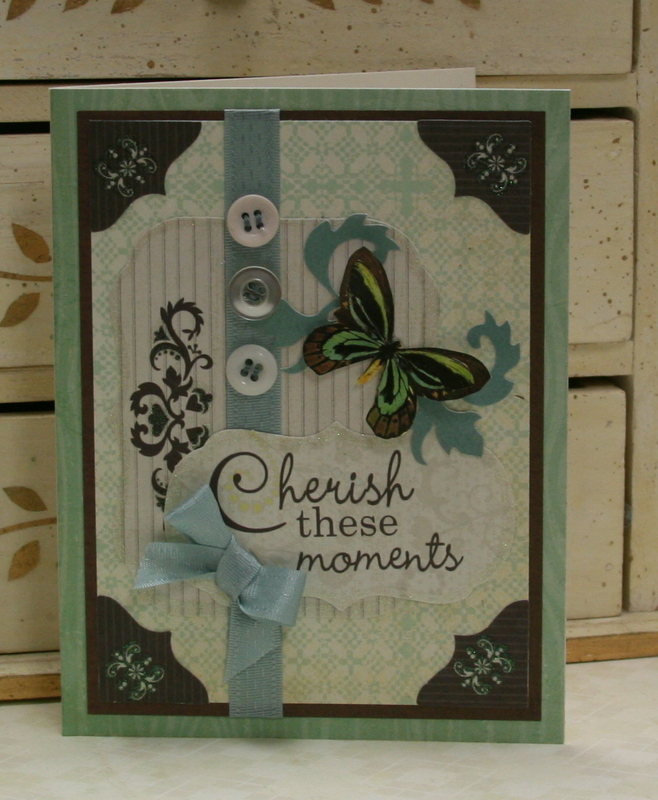 I just love the blue and green on this card. 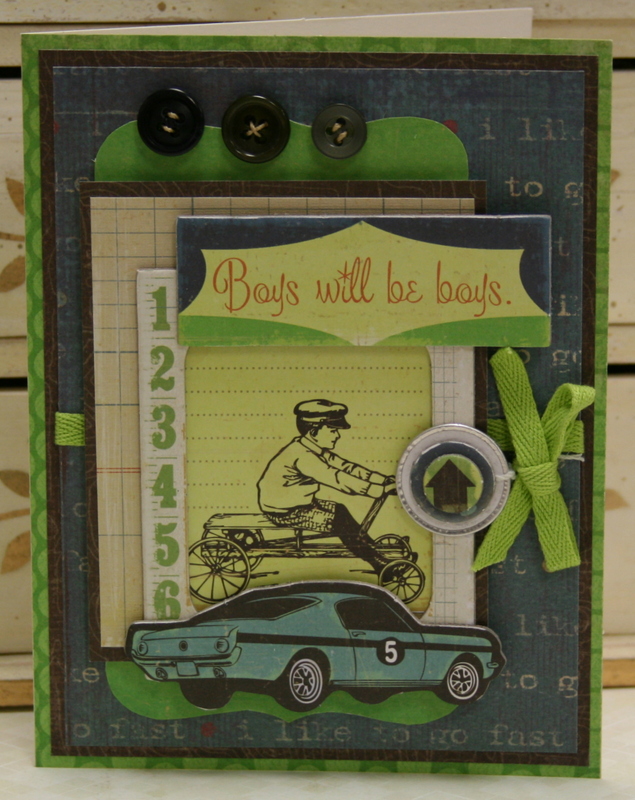 Needless to say the theme was boys and their wheels….starting from a vintage 4 wheel wagon to an awesome classic hot rod race car!!! I may have gone a bit overboard on the chipboard on this one…man it’s heavy! Okay I have to admit, this one is my favorite! I think because the car reminds me of the General Lee. My sister and I used to watch the Dukes of Hazard sitting in front of the tv and have our dinner on tv trays with the short little legs. I don’t want to brag….but I also had the matching lunch box lol. If you are wondering about my fascination with that classic orange charger….I do drive a charger. Not a classic…and not orange. for now anyway…my newly driving son has his eyes on it yikes. I do believe my very dear friend Jane is trying to covertly come up with new challenges to test my abilities. I should mention that she is also very sweet and generous and always brings me some new treasures when she comes to play paper with me in the shop. It is a lovely tarnished spoon though. Okay…I’m up for this challenge. Did I bring my “A” Game???? Of course. I don’t even have a “B” Game LOL. So here is to all the spoons out there waiting for their place in a collage. Small Disclaimer……You can not….I repeat…can not punch a hole in the handle of a stainless steel spoon with a cropadile. Believe me…..I tried. 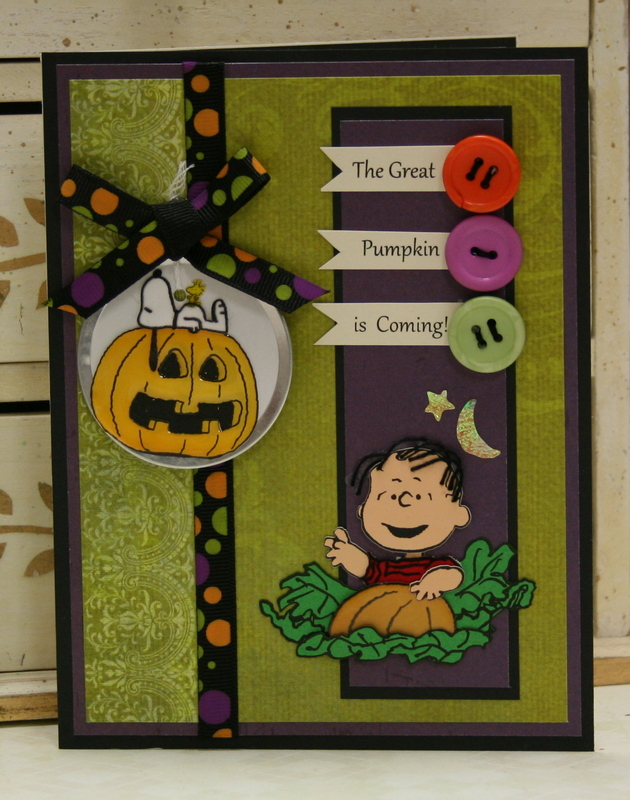 I know you will see this card and say….that’s not vintage….or shabby chic. I made this card especially for my Mom down in Texas who has a much more traditional taste. She calls my style Frou Frou lol. 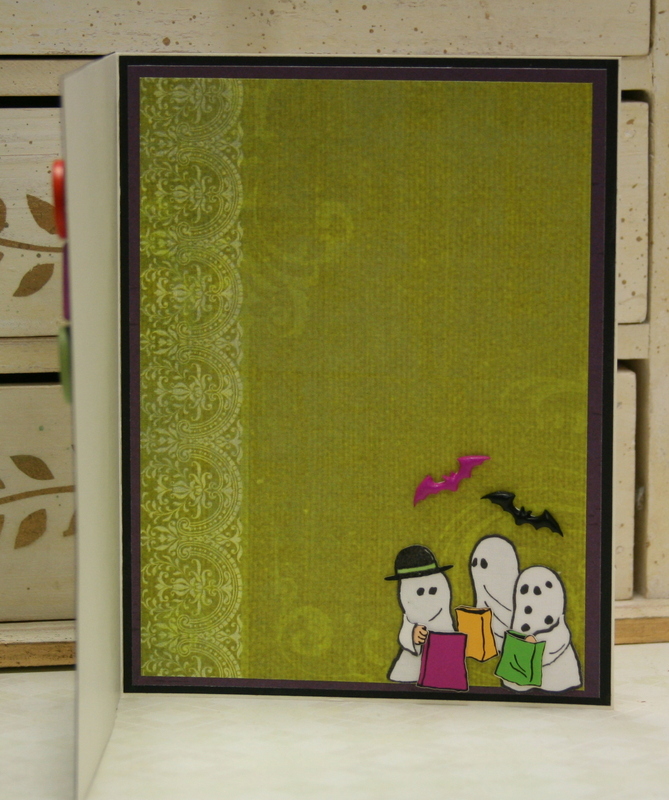 So here is a card that is much simpler and no fancy lace or inking and stamping. Mom happens to love the Peanuts and I found this great little sticker set right after the holiday last year and managed not to loose it for a whole year!!!! YAY ME!!!! I did manage to sneak in a little paper layering though tee hee and some buttons. I think green and purple make a nice color combination for Halloween. I had to finish the inside too!!!! 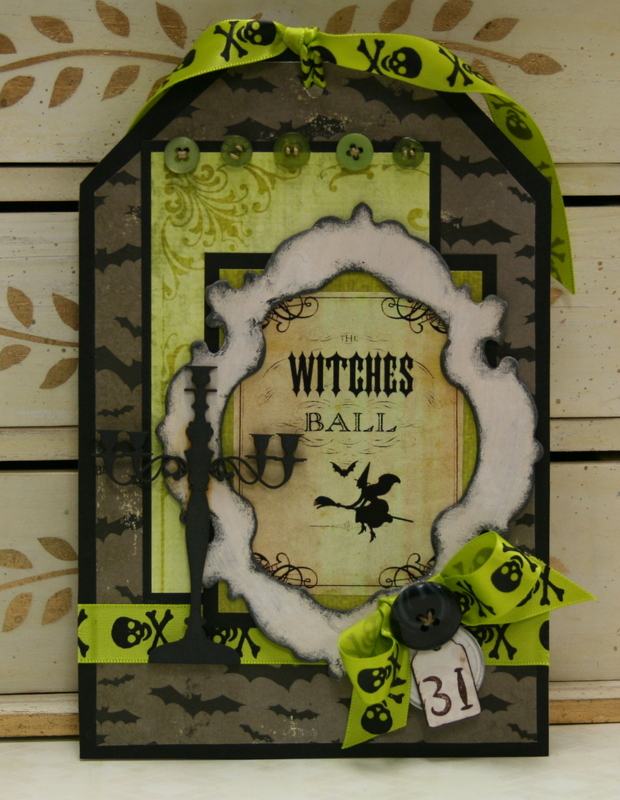 I created this tag with soft colors and lots of layers. The sweet image is from Graphics Fairy. I gave it a large chipboard frame that was painted and inked, then I accented it with sparkly glitter, pretty layered paper flower and leaves, and bow of blush colored ribbon. Sheet music and buttons are the perfect finishing touch. 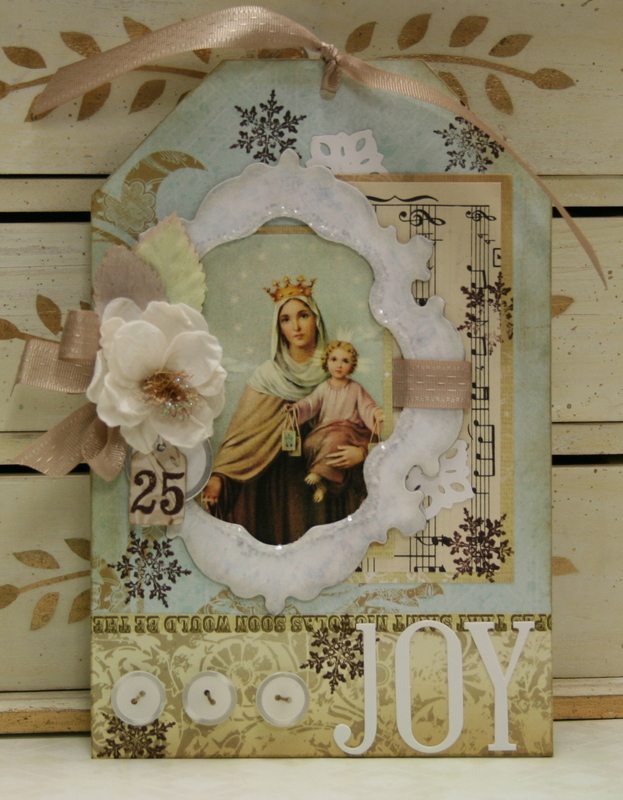 These tags would make a great addition to seasonal holiday decor since they have an extra thick base for sturdiness. 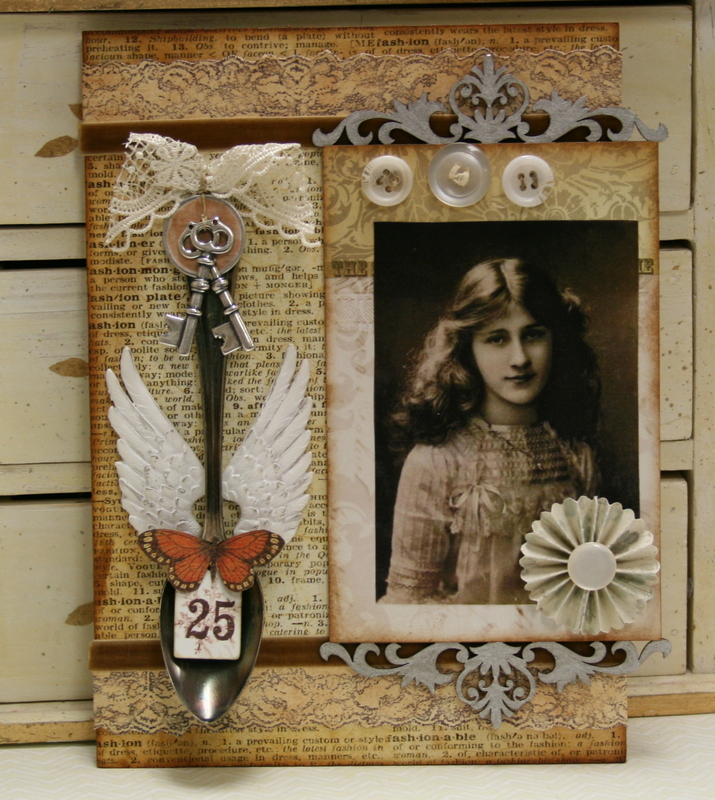 Wouldn’t this be lovely in a vignette with lace, candles and books??? ?